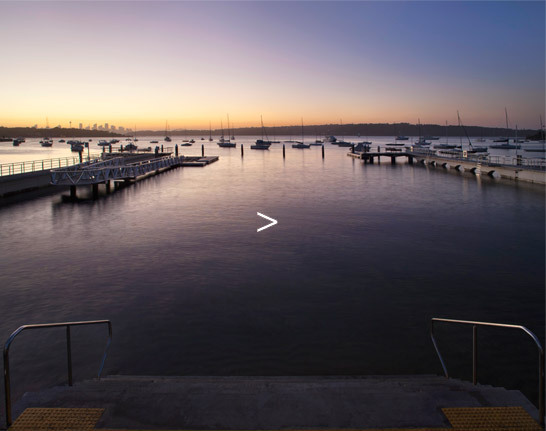 The protected microclimate and long view of the Sydney skyline across the water make Watsons Bay one of the most beautiful places in Sydney Harbour. 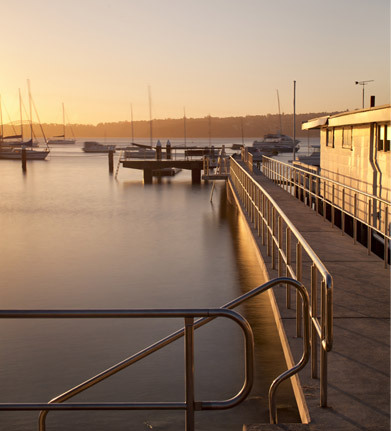 Watsons Bay Baths were built in 1905 and as part of the refurbishment completed in 2010 we have built world’s first wheelchair access to a tidal sea pool. 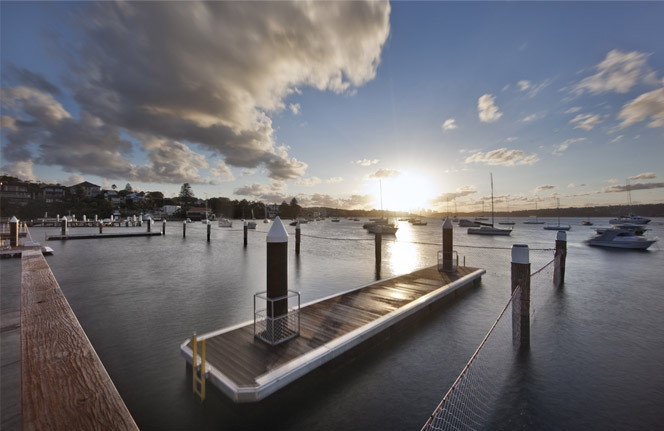 New walkways and platforms give water access and open up new views of the harbour. 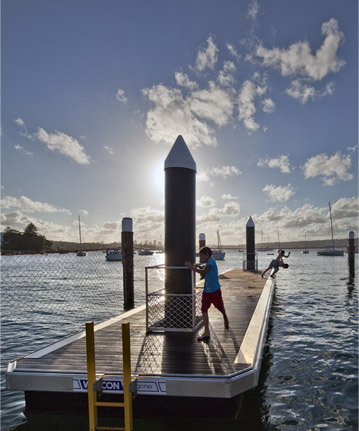 A double hairpin access ramp and gangway descends to the new pontoon which is the primary access for swimmers including those with disabilities. 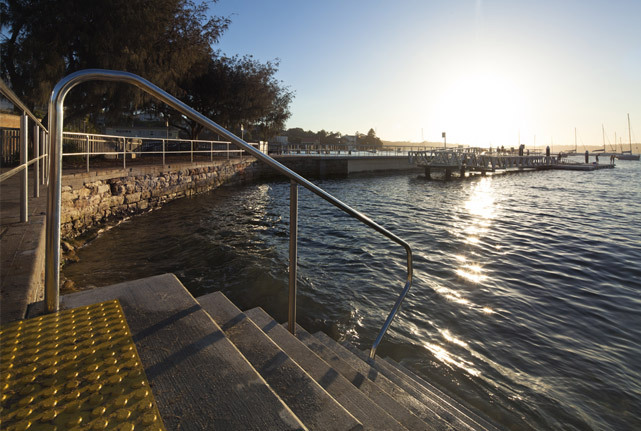 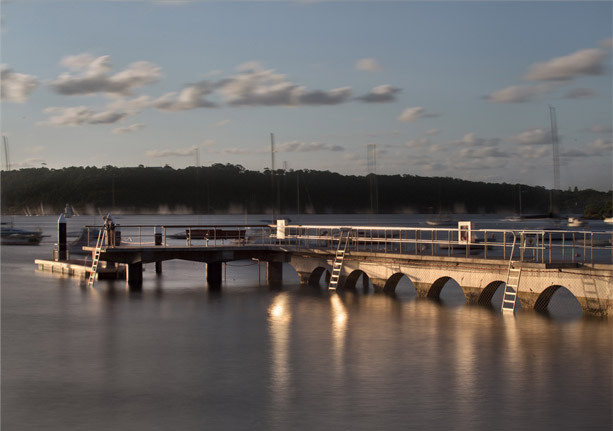 The ramp immersed in the pontoon inspires water confidence, and ensures that users of all abilities can enter the water at the same location and in the same depth of water in any tidal situation. 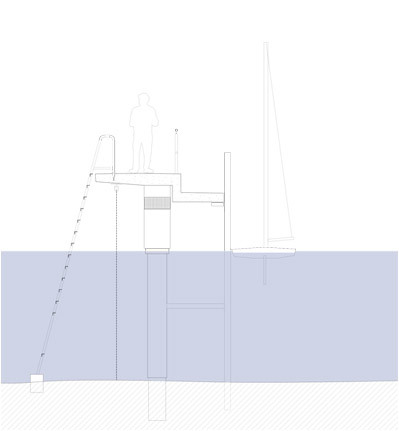 The pontoon also avoids oyster encrustation and promotes seagrass growth by locating swimmer access away from fragile seagrass beds. 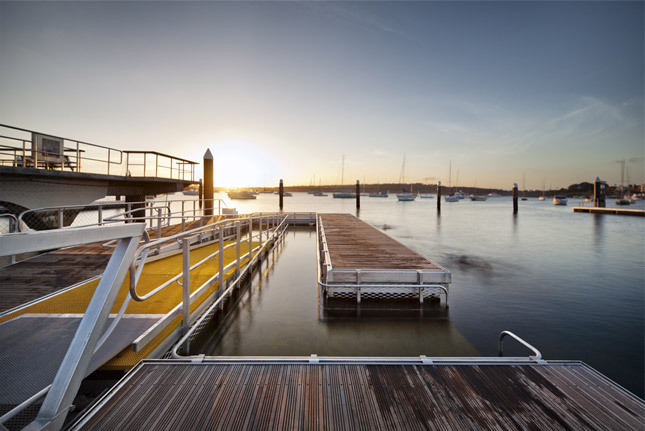 Mesh floors admit light to the seabed while the panelised shark-net creates and protects seahorse habitats.This new yellow pontoon floating in Watsons Bay Baths is a place for all to gather and enjoy the harbour. 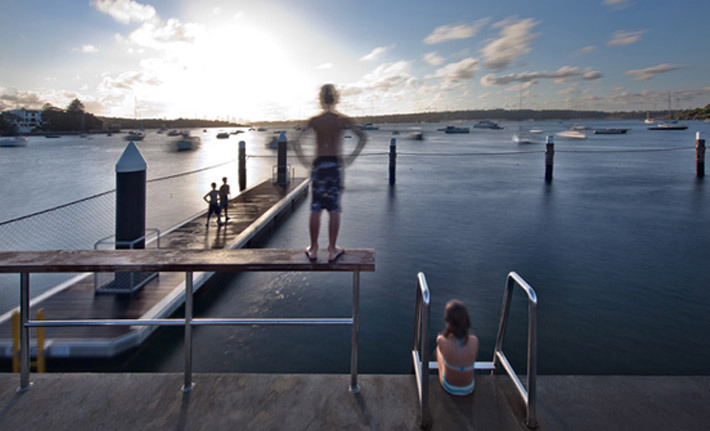 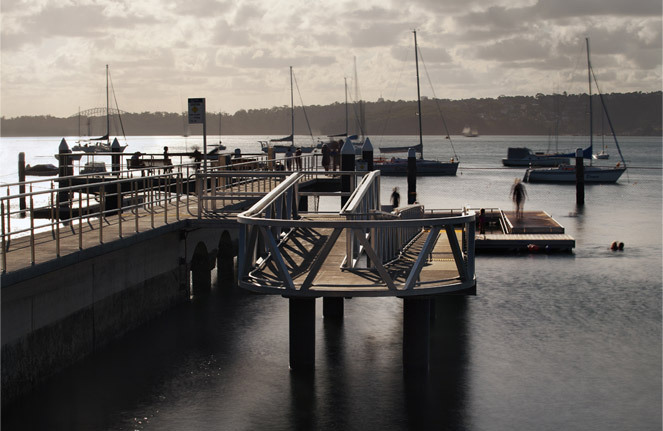 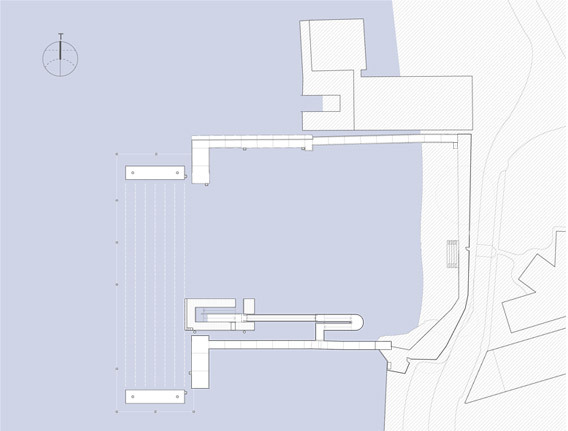 Watson Bay Baths was short-listed in the 2011 AIA awards.